While we were away at Web Summit, Google and Apple released the latest user statistics for their respective operating systems. The most surprising update of all? There’s not much of an update — at least not for Android Pie. The absence of Android’s latest OS version aside, the statistics for both operating systems highlight some interesting distribution patterns. Nearly three months after its release — and despite a plethora of new features for developers and users, such as gesture controls, enhanced security features, and smart replies — Android Pie still hasn’t garnered distribution numbers high enough to earn a spot in the stats. 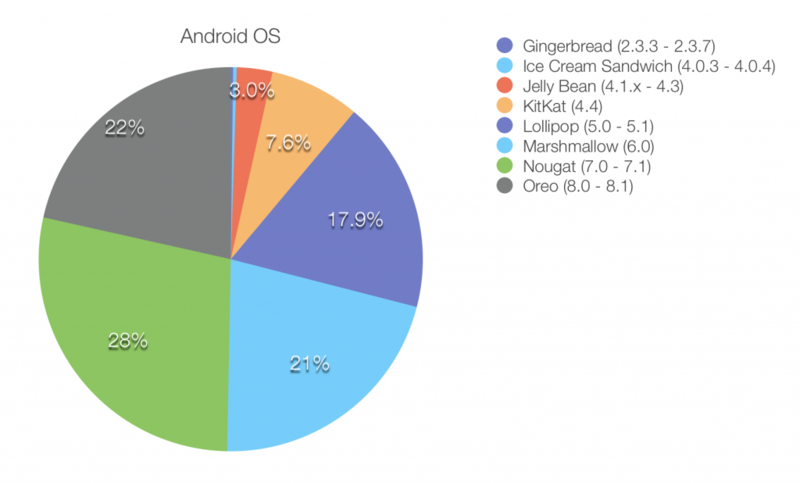 Meanwhile, Android Oreo (which is well over a year old now) continues to gain popularity and now counts itself as the second most used OS Android version with 21.5% share of the market — following its predecessor (and seemingly, the forever favorite among Android users), Nougat, with 28.2 percent. 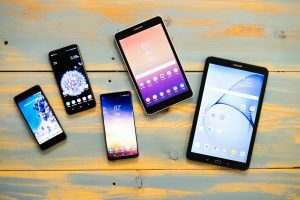 Every OS version older than Oreo 8.0 continued to drop in usage throughout October: Marshmallow dropped from 21.6% to 21.3%, Lollipop went from 18.3% to 17.9%, Kitkat dropped to 7.6%, and Gingerbread and Ice Cream Sandwich barely made the list with 0.2% and 0.3% respectively. Meanwhile Android Pie will have to gain more than 0.1% of the user share to show up in next month’s statistics. Even as Android Pie awaits its time on the charts, people are looking ahead to Google’s latest OS release: Android Q. Some of the reported features that developers and users can expect include: warning users against older apps, foldable display support, and early access for testing. While we wouldn’t yet suggest giving up on Pie — especially not before it’s been distributed among all supported Android devices — it would certainly be worthwhile to start considering updates to your app that incorporate the new features and access that Android Q will bring to the table. Unlike with Android Pie, iPhone users have readily and rapidly adopted iOS’ latest operating system, iOS 12. 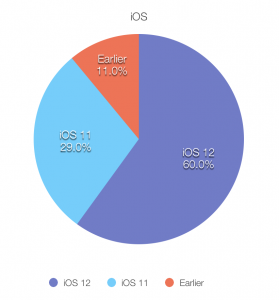 Just two months after its release, iOS 12 is in use on 60% of all active devices — and 63% of all active devices released since September 2014. 29% of all devices continue to run iOS 11 — down from 39% last month — while only 11 percent run an earlier version of iOS. These updates aren’t the only reason Apple is in the news, though. 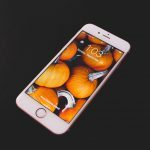 Recent reports have included device hardware failure, locking users out of their devices, and exploding iPhones. Though they’ve afflicted Apple’s share price in recent days, these software failures don’t seem to have affected an increase in iOS usage. 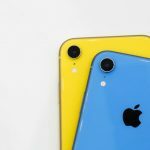 iOS 12 usage has gone up by 10 percent in just a couple of weeks, which can likely be attributed to the release of the new iPhone XR (which came pre-installed with the latest operating system). Unlike with Android Pie, we have good reason to believe that those numbers will go even higher before month’s end, as more and more iPhone users upgrade to iOS 12.1 (exploding iPhones be damned) after its late October release. Want to make sure your apps meet the standards of the latest OS updates? Get in touch!